March is almost two weeks away, people! As strange as it feels to type those words, certain realities of the ​men's college basketball season have properly set in. And whether you're more bullish on the ​Duke Industrial Complex or the two punchy contenders from the SEC, it's time to start thinking about the Big Dance and the race for the title. And with that in mind, there's a new AP Top 25 ranking to sink our teeth into. And as has begun to become customary, the Tennessee Volunteers are checking in at No. 1. The Vols weren't tested this week, handling Missouri and Florida at home in Knoxville by rather similar margins. 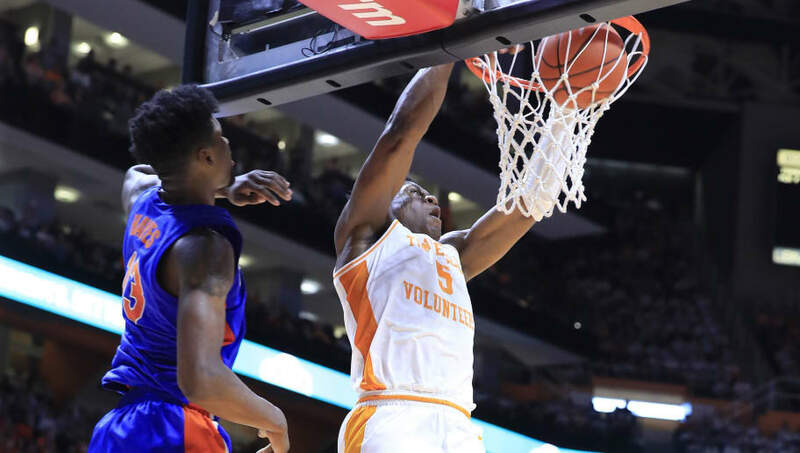 The one-two punch of Grant Williams and Admiral Schofield continues to impress, and figures to be a force well into the month of April. The biggest mover this week is 23-1 Houston, who broke into the top 10 with wins over UCF and Cincinnati. Despite looking up at Big Orange, it's hard to argue that Duke isn't the single best team in college basketball. And the good news is that we don't have a whole lot more time to wait before the nation's heavyweights fight it out for conference supremacy and take the rip-roaring momentum right into Selection Sunday.